On average, a person dies of skin cancer almost every hour. Skin cancer is the most common cancer, but it’s also the most preventable. Start here to learn what you can do to protect yourself. Where Do Most Skin Cancers Occur? Surgery is the first line of treatment for most skin cancers. Do I Need a Lymph Node Biopsy? If you’ve had one skin cancer, your risk of others is greater. Though the specific cause of melanoma is unknown, it appears that melanoma develops when there are problems with the DNA that controls skin cells. In people with melanoma . 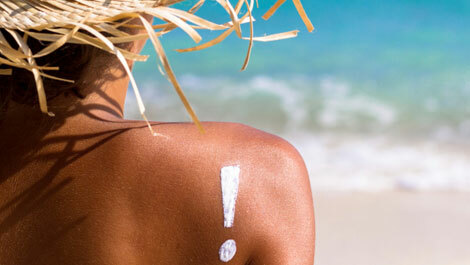 . .
Q What are the symptoms of skin cancer? Q What is the prognosis for Merkel cell carcinoma patients? Q Where does Merkel cell carcinoma develop? Q What are the three main kinds of skin cancer? Q Is skin cancer a growing threat? Q Which type of skin cancer accounts for a large number of cancer deaths? Q What is skin cancer? Q What are the different types of skin cancer? Q What kind of doctor should I see if I need to be checked for skin cancer? Q How likely am I to develop skin cancer?